After earning a degree in computer science, Lopez worked as a computer programmer with the Treasury Department in his native Puerto Rico. He then joined an IT consulting firm, working with major corporate accounts, including Shell Oil, Dow Chemical, and Amgen. The latter hired him as an IT specialist in 1992, and he has worked in the pharmaceutical industry ever since. In 1996, he joined Rhône-Poulenc Rorer. Five years later, the company, which is now part of Sanofi, relocated him to Missouri to serve in a regional IT management role for North America. “That was a great developmental opportunity for me and my family which opened new doors to complex multisite regional projects and a Midwestern lifestyle,” he explains. 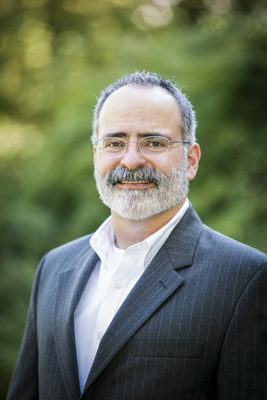 Lopez eventually took on a global leadership role, which added South America, western Europe, and Japan to his scope of work implementing global quality and industrial IT initiatives. In 2005, he took on a new opportunity as director of technical operating processes at AstraZeneca, so he moved to Delaware to support the North America organization. “It meant rebalancing a global versus a regional role, but I was attracted by the job’s combination of IT and regulatory work,” he says. Lopez’s expertise and enthusiasm caught management’s attention, and he was soon promoted to senior director of global compliance systems. He was part of a global task force that launched the company’s first global e-learning program to roll out its Code of Conduct in ten languages. “We took the Code into ninety-six countries, training sixty-five thousand employees in six months,” he says. He also implemented a global helpline to receive confidential questions and reports, which was recognized as one of EthicsPoint’s Top 10 Ethics and Compliance Portals in 2009. In 2013, the company went through a major restructuring, and Lopez decided to move to the Greater Boston area with Biogen. Some of the areas he focuses on at Biogen include providing compliance advice to marketing and commercial operations teams, risk management, and monitoring the execution of promotional programs. He is responsible for programs that focus on addressing areas where there may be challenges in the pharmaceutical industry. These areas include off-label marketing, false claims, kickbacks, and bribery that can involve healthcare providers and organizations, employees, and contractors; for this reason, it’s helpful to provide a secure method for reporting questions and concerns to management in order to determine the appropriate remediation. “Having been raised and exposed to diverse languages and cultures helps me calibrate the appropriate response to ensure the remediation is effective,” Lopez explains. But it’s the values the Boy Scouts impart that are the most far-reaching and life-changing. “Whether it’s opening the door for a stranger, collecting food for the needy, fixing a hiking trail as part of your son’s Eagle Scout project, or making sure colleagues understand the compliance framework,” Lopez explains, “it’s all about being an honorable person who contributes to your family, to your community, to the nation and to the world by helping others at all times.” This is the type of person he wants both of his sons to grow up to be.